VITEEE 2019 Answer Key will help the candidates in the evaluation of score for VITEEE 2019 Entrance Examination. The answer key for the Engineering test is not issued by the VIT University as this is an online Entrance test. The results of the exam will be available in the last week of April 2019. Once the exam will get over, interested applicants can look for the answer key of the exam. Nonetheless, applicants ought to note that there is less chance that the answer key will be issued for VITEEE. 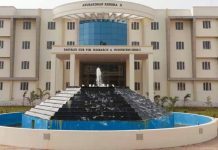 Because of the fact that the Vellore university organises their examination in an online system and the question paper for the examination will not be available. Due to which, various private institutes would not be able to issue the answer key. Due to the fact that, there is a slight possibility that maybe a couple of Institutes may get their hands on the paper and after that, they will issue the answer key. 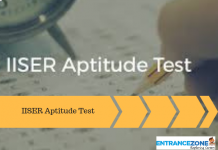 If this happens, we will provide you with the latest updates about VITEEE 2019 Answer Key. For more information kindly read this page. 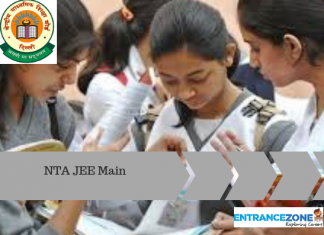 Entrance Zone will provide the VITEEE 2019 Answer Key to the applicants after it is published by the Official Exam Directing Body or any reputed private coaching institutes. Applicants, who sat in VITEEE 2019 can cross-check their responses to assess their marks. Sign in to the official VIT University site. Candidates can download the answer key and match their answers. 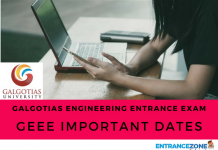 Join us for more update on VITEEE Online Exam Answer Key 2019. Applicants can download Paper sets (Code wise) as well as their answers. Official answer key will be accessible online for students at the official website, from last week of April 2019. 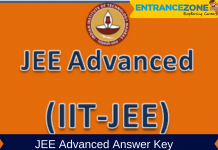 Note: VITEEE 2019 Answer key is prepared by various private institutes and each may have their own particular answer key and way to solve the Question. Hence, answer keys may vary, however, even a little change can bring a reasonable difference in applicant’s ranking. Applicants should seek as many answer keys as possible as they can to forecast their rank. Stay tuned to this page for official and unofficial answer keys of VIT Entrance Exam 2019.